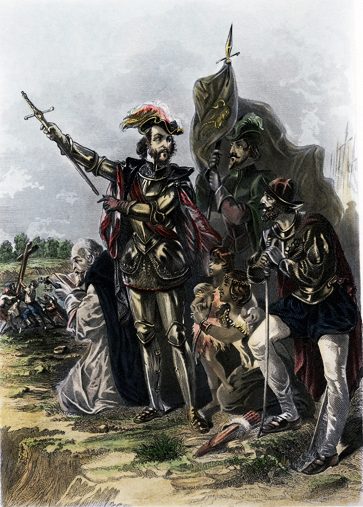 "De Soto on the Shore of the Mississippi"
Color reproduction of an engraving of Hernando de Soto and others in elaborate dress on the shore of the Mississippi River. 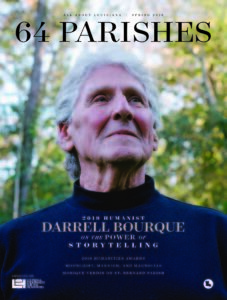 Disclaimer The Louisiana Endowment has included this work in 64parishes.org for the purposes of criticism, comment, teaching, scholarship, educational research, all other nonprofit educational usages under Section 107 of the U.S. Copyright Act. Physical rights are held by the Louisiana State Museum in accordance with U.S. federal copyright laws.